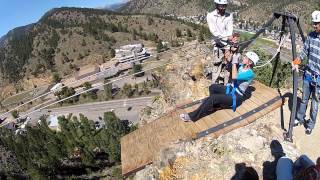 AVA’s Cliffside Zipline course was voted Best Zipline Tour of the Rockies last year, and once you join us on an adventure you’ll see exactly why. 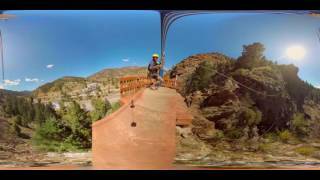 This 6-line course is built into the natural area along the cliffside in Idaho Springs and includes features such as suspended bridges, a Surf Zip, and a Dual Race zip to challenge your friends on. 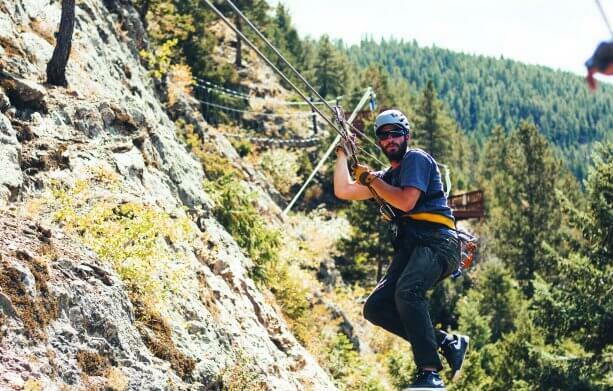 With our Cliffside Zipline located in Idaho Springs, just 30 minutes west of downtown Denver, this makes for a perfect afternoon getaway into the mountains. Though our 9-acre property is set back only a quarter mile from Interstate 70, you’ll feel like you’re out exploring Colorado’s wilderness. If the zipline doesn’t take your breath away, the views sure will! Visitors Rated 5.0 / 5.0 based on 437 ratings for Clear Creek Ziplining Tour. At AVA Rafting & Zipline, we believe you should know what you’re buying and how much you’re going to spend. We believe in added value to make your experience special. We don’t want you to feel “nickel and dimed” when you show up for your trip with us. Your Cliffside Zipline tour includes everything you need. We try our best to prepare you with gear lists and suggested things to bring so that you don’t end up paying for unneeded add-ons. Enjoy your few hours of adventure with our awesome guides!